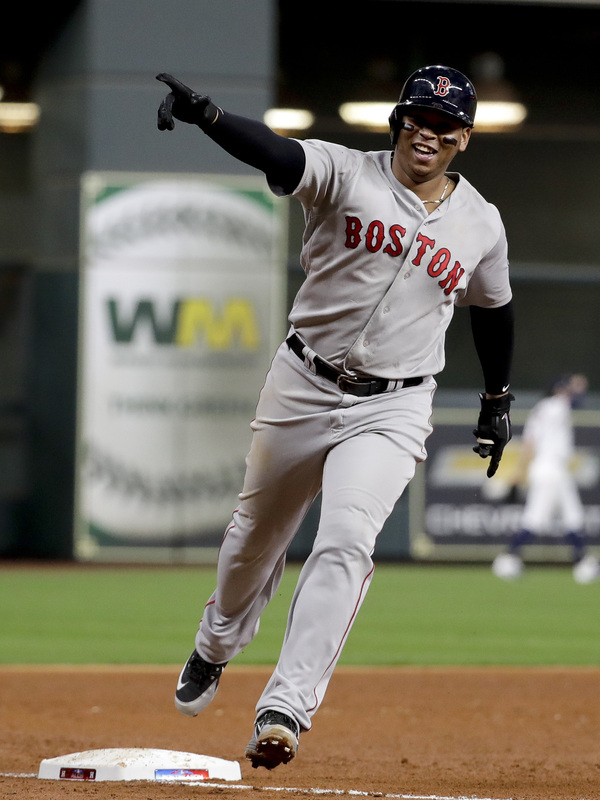 Boston Red Sox Stifle Houston Astros' Bats, Return To The World Series Boston's pitchers held the Astros to just five hits, and Red Sox third baseman Rafael Devers continued his surprising postseason with a three-run home run as the Red Sox won the ALCS. The Boston Red Sox's Rafael Devers celebrates his three-run home run Thursday against the Houston Astros during the sixth inning in Game 5 of the American League Championship Series. Boston's pitchers held the Houston Astros to just five hits, and Red Sox third baseman Rafael Devers continued his surprising postseason with a three-run home run Thursday night as the Red Sox won the American League Championship Series. Boston will advance to the World Series, where they'll face the National League series winner. The Los Angeles Dodgers lead the Milwaukee Brewers 3-2 in that series, and can wrap it up in Game 6 on Friday (Fox Sports, 8:30 p.m. ET). The Red Sox's 4-1 win Thursday night was a departure for this year's ALCS; no other game had seen fewer than nine runs. Boston starter David Price, who had gone 0-9 in his first dozen playoff games, gave up just three hits in six innings while striking out nine. "That was very, very special, absolutely," Price said after the game. "But we want more." Since breaking an 88-year curse with a World Series title in 2004, Boston has added titles in 2007 and 2013, and will get another chance this year. That meant Devers' home run was more than enough to give Boston the win. The 21-year-old, in his second year in the majors, is hitting .375 this postseason, versus just .240 in the regular season. 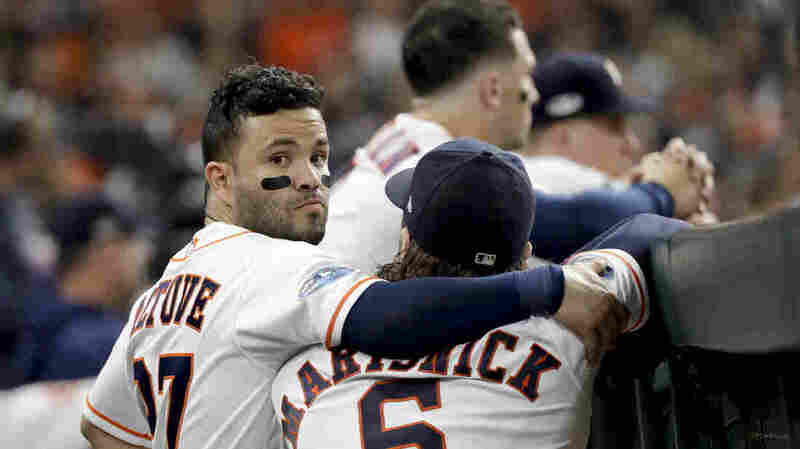 The home run chased from the mound Houston starter Justin Verlander, one of the best pitchers in baseball, and effectively ended the Astros' hopes of winning back-to-back World Series. The Houston Astros' Jose Altuve and Jake Marisnick watch from the dugout on Thursday. Houston won the 2017 World Series but fell just short this season. In a previous version of this story, we incorrectly said the Los Angeles Dodgers lead the Milwaukee Brewers 3-1 in the series. They are leading 3-2. Also, Friday's game is Game 6. A previous version of this story said Game 5.